Anger is a completely normal, usually healthy, human emotion. But when it gets out of control and turns destructive, it can lead to problems; problems at work, in your personal relationships, and in the overall quality of your life. It can also make you feel as though you’re at the mercy of an unpredictable and powerful emotion. 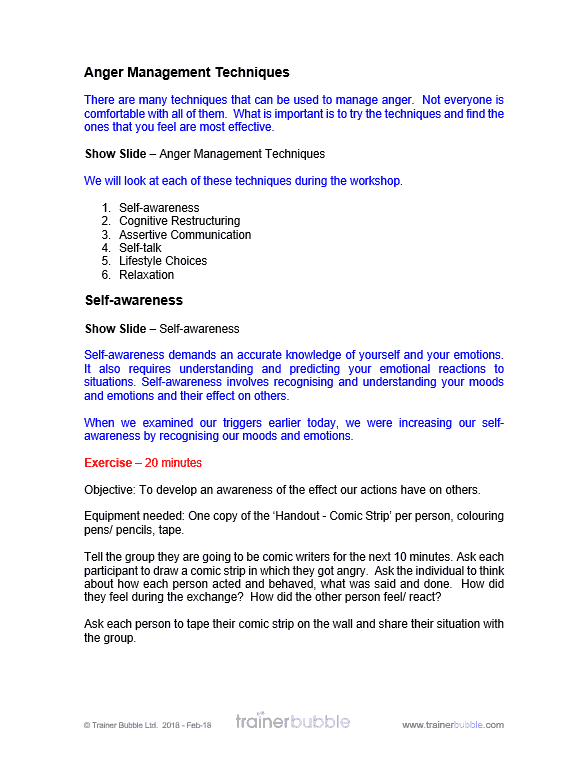 These Anger Management training course materials have been developed to help your participants understand and identify anger. They will learn the psychology of anger and explore and understand their own. It will also provide them with tools and techniques to safely manage their stress levels and avoid triggers that can cause feelings of anger. The training course is aimed at anyone that wants to understand anger in more detail and learn to control their emotions and those of people around them. Some of us handle our anger better than others. While one person might be a bit unhappy when someone cuts him off in traffic, another is so angry that he shouts and swears, and starts driving aggressively himself. How can the same event cause such different reactions? And how can you make sure that your reaction is the calm one, instead of the wild one? What we really want to do is to understand our anger more deeply and to create a new type of relationship with our emotions, a relationship where we manage them rather than letting them manage us. Many of us are alarmed at how anger is controlling our lives. However, anger is a learned response, and the anger response can, with commitment and effort, be unlearned. 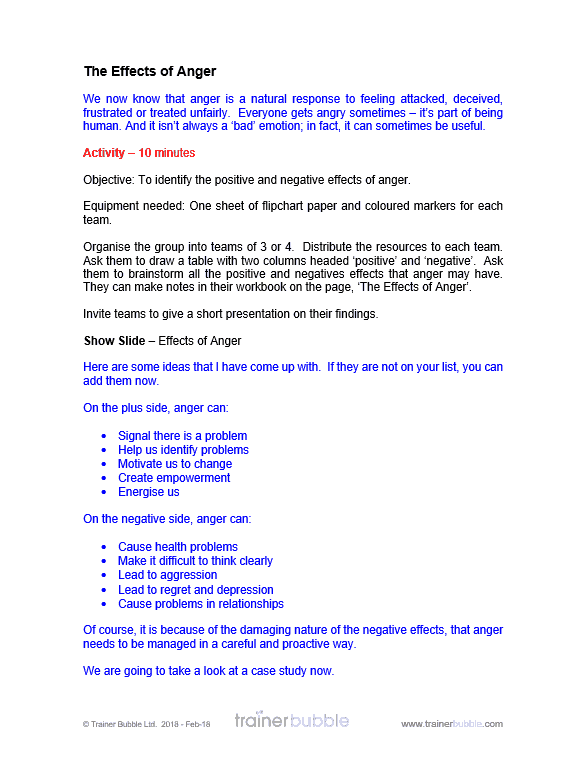 These training course materials aim to give your participants an understanding of how anger affects them and others. It will provide tools and techniques for managing anger and help ensure their natural emotional response is the correct one. Why is running this anger management course a good idea? 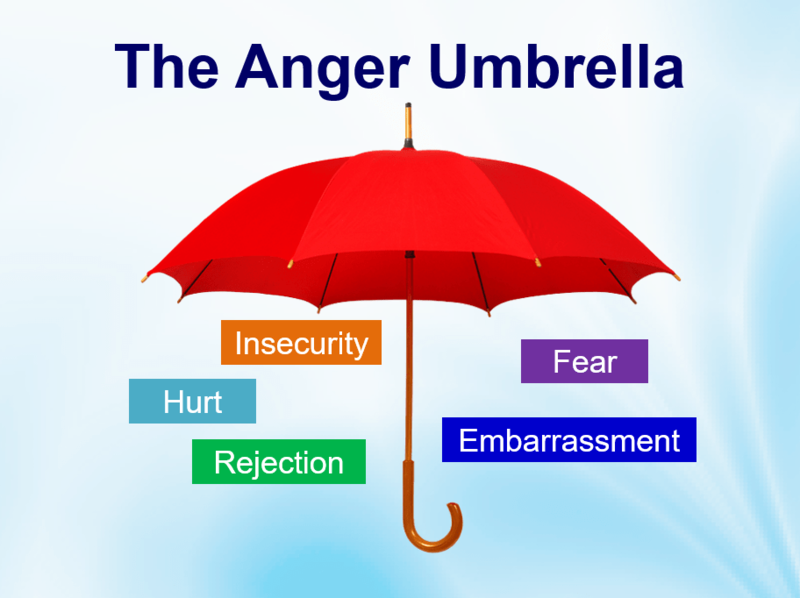 Understand the psychology of anger, how it is triggered and what to do to avoid it. Manage anger when confronted with emotional situations. 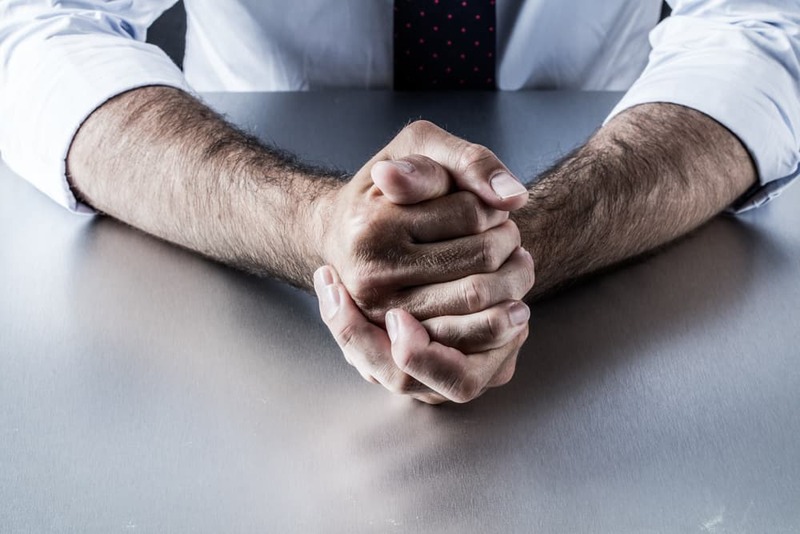 Improve communication in challenging conversations by remaining calm. Ensure workplace relationships are positive and constructive. Remove negativity and focus on positive outcomes. Use relaxation techniques to reduce stress. 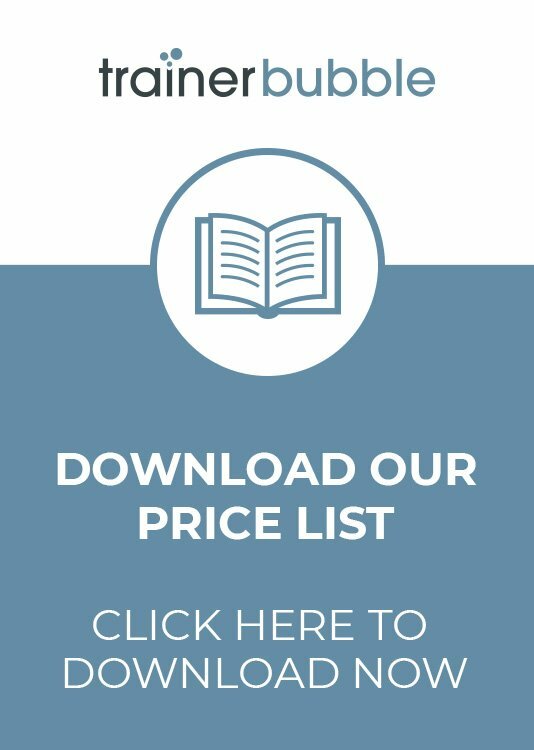 Ultimately these training course materials allow you to provide your participants with the knowledge and skills to effectively manage anger and the resulting stress. Your participants will benefit from using the methods and models included in these training course materials. They will better understand anger and instigate changes for the long term benefit of both themselves and their organisation. The training content will also help manage their emotions and use positive self-talk to improve their relationships and how they interact with the world around them. Introduction, Objectives and Expectations – An introduction to the subject, an opportunity to review the course objectives and identify any personal objectives and expectations of the group. Includes a review of the definitions of anger, to help set the scene for the training. The Physiology of Anger – Understanding how anger affects us physically and mentally and the impact this can have on us. Includes a YouTube video that talks about anger and loss of control. The participants are encouraged to summarise the feelings that their own anger is affected by. 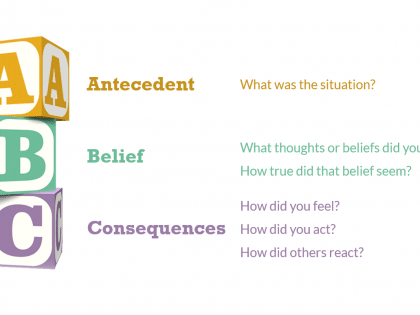 Internal and External Triggers – Identifying the different things that can trigger negative emotions. Includes a questionnaire that the participants complete to see what ‘pushes their buttons’. 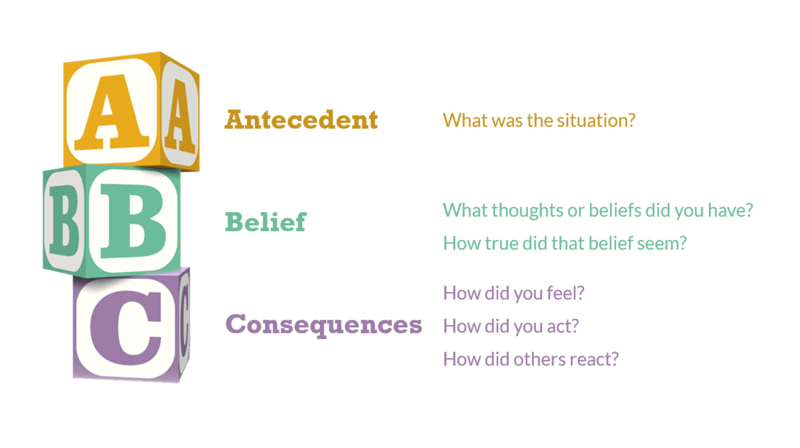 Understanding if anger is provoked by external or internal influences and using ABC Belief Monitoring to review their experiences. Thinking Errors – Using Cognitive Behaviour Therapy techniques to explore the irrational patterns of thinking that can both cause anger, and be caused by anger. Looking at actions that can help correct these errors. 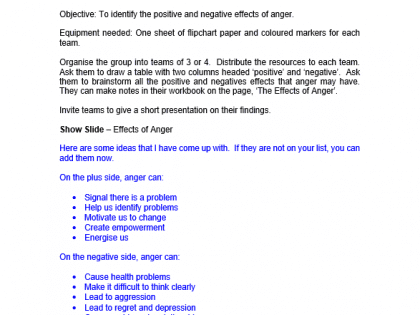 The Effects of Anger – Reviewing the positive and negative effects of anger. 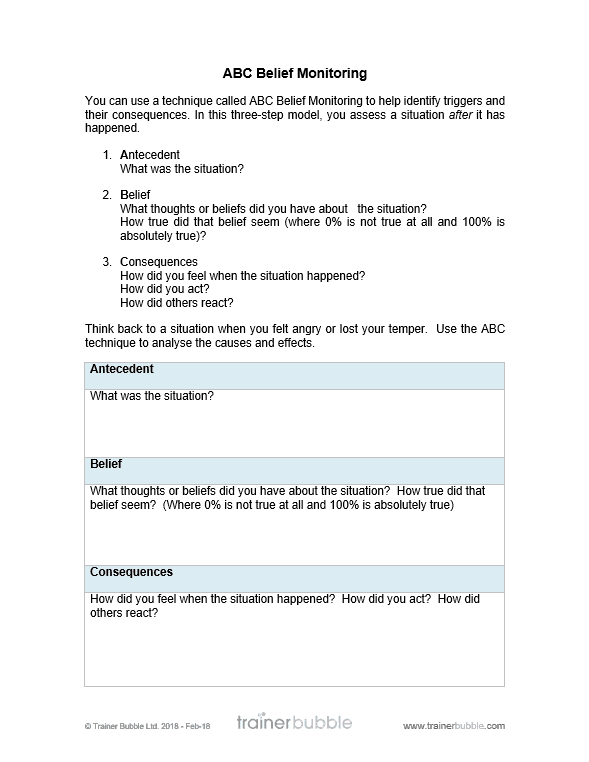 Using a case study to look in-depth at how anger scenarios can be improved and managed. Anger Management Techniques – Presenting the key techniques that are then covered in more detail. 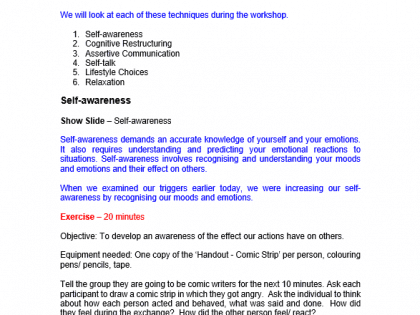 Self-Awareness – Developing an awareness of the effect our actions have on others. 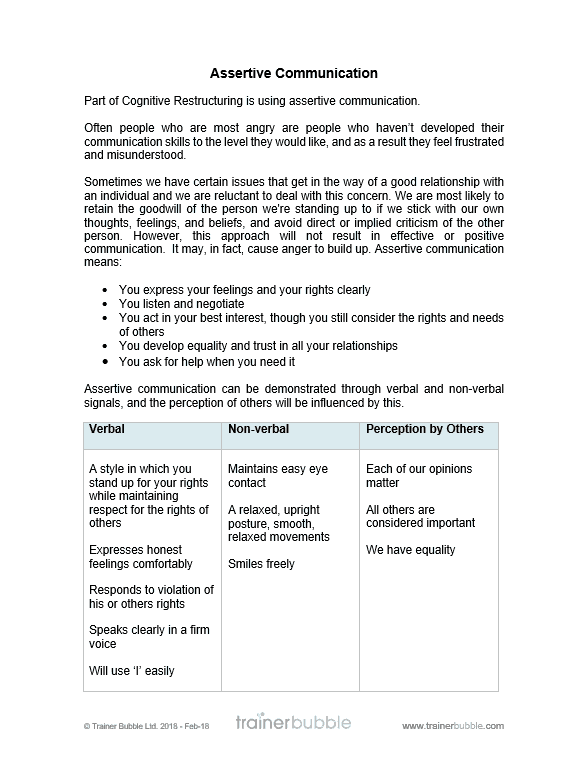 Cognitive Restructuring – Changing the way we think; replacing emotionally charged thoughts with more rational ones; and using positive words. 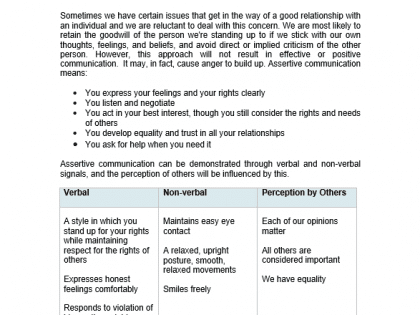 Assertive Communication – Exploring how assertive communication works, with techniques and tools. Learning to rephrase emotionally charged words with balanced words. Self-Talk – Understanding that self-talk has a huge influence on our feelings and can make us feel better or worse about any given situation. If our self-talk tends to be negative, we will probably spend a lot more time feeling angry than someone whose self-talk is positive. Creating positive self-talk phrases. Lifestyle Choices – Appreciating that looking after our wellbeing more generally could help us feel calmer and more in control when things happen that make us feel angry. Identifying lifestyle choices that could be made. Relaxation Techniques – Practicing several relaxation techniques to help improve our general feeling of positivity and wellbeing. 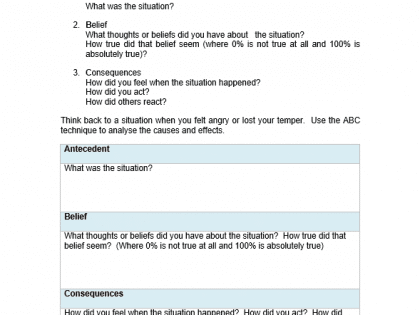 Thought Records – Creating a thought record, which is a tool that can be used to record events and situations that cause us to feel angry, stressed, or anxious and learn to overcome them.